My journey though paper, glue and lots of bling! So we hope you enjoy all the amazing design team projects and give them a warm welcome. We have an amazing group of ladies this year and of course their is awesome prize pack up for grabs. Rules: To be eligible you must become a follower of the SSD blog and leave a comment at each stop as well as here. Commenting will be left open until August 8th and the winner will be announced on Monday August 10th! So this gives everyone time to hop and leave comments at each of the different stops. I used the cute little elephant on a new release set of stamps. He's just so cute! 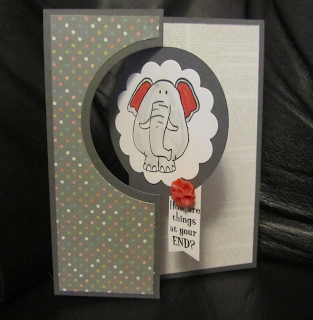 My paper is from Simple Stories and the card die is from Stampin' Up. I thought it was the perfect fit for this cute little guy. Thanks for stopping by and have fun hopping! 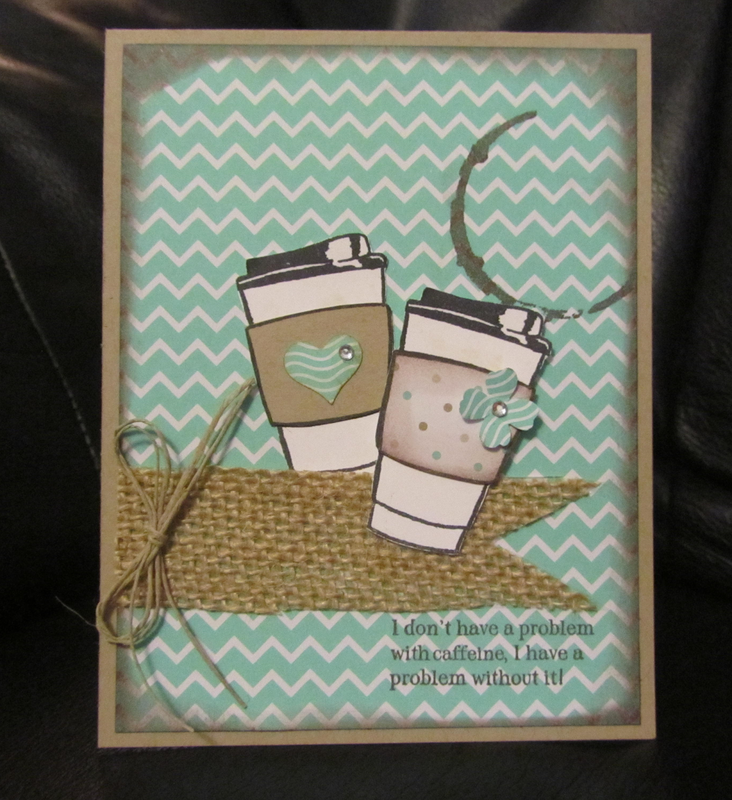 I used the Funny Coffee stamp set which is one of my all time favorites from Skipping Stones Designs. I'm absolutely loving burlap these days. I used some burlap ribbon on this card and some linen thread And what card wouldn't be complete without some bling. Have fun hopping! Sorry the picture is a little blurry, not sure why that happened. 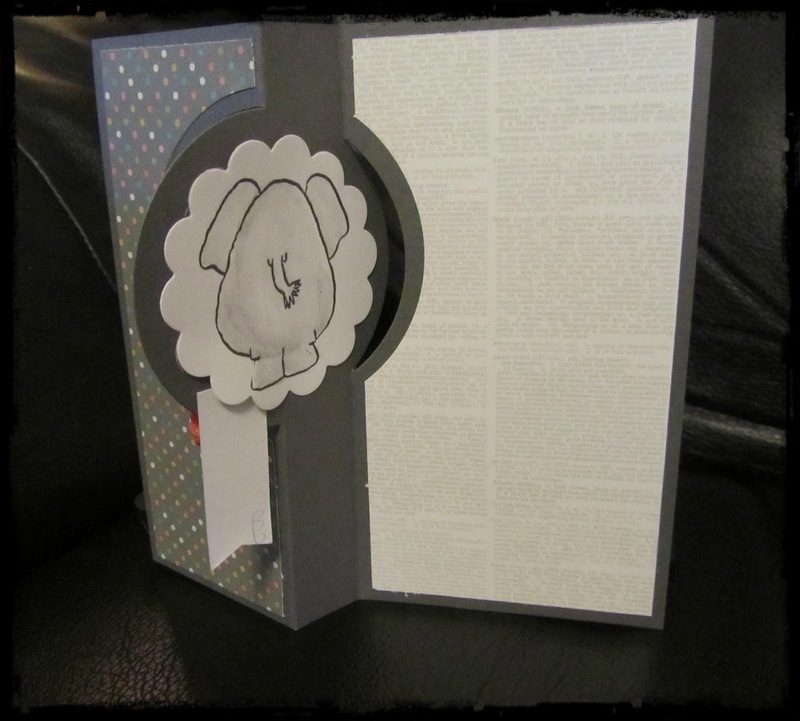 I used some Bo Bunny double dots on my card and embossed it with the new Spellbinders embossing folders. I'm digging the 2 in 1 with these folders. I used a stamp set from Close to My Heart. I inked the edges and added some nail head looking "ribbon" I had on hand to finish the front of the card off. The inside is what makes this card "ROCK". Come on now how fun is that? I'm also entering my card in the challenge at CAS-ual Friday. How fun is this sketch?! I used Cupcake Cutie from Skipping Stones Design for my cupcake and Buns and Crunches for the senti.